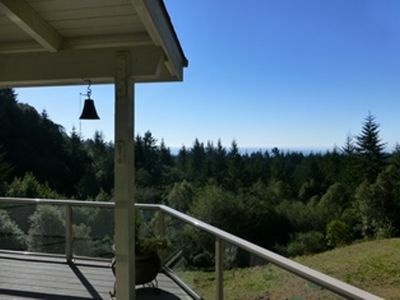 Gorgeous, architect designed, 4 bedroom, 3 1/2 bath custom home with a panoramic view of the Pacific Ocean. 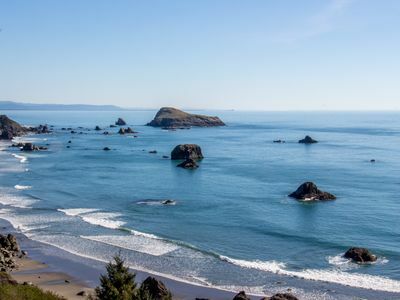 You can literally see 25 miles of coastline from Crescent City, CA to Bird Rock at Harris Beach State Park in Brookings, OR as well as the Chetco River Bridge, Brookings Harbor and jetty, and at night you have the twinkle lights of downtown Brookings to complete your 24 hour view! 10 foot ceilings and architectural elements make this house stunning! Brazilian cherry hardwood flooring, travertine tile and Karastan carpeting make it elegant; and the bold color scheme makes it memorable! 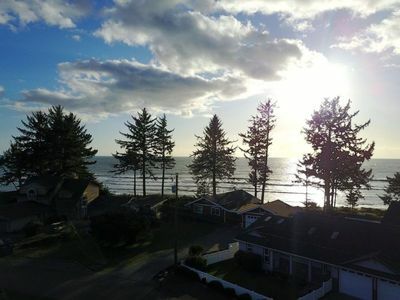 This home includes a 6 foot Jacuzzi spa tub in the Master Suite - lovely king bed, separate travertine shower, walk-in closet and incredible ocean view. Huge gourmet kitchen - including convection range, all appliances, 2 sink areas, large island, all "blue pearl" granite countertops, and stocked with staple items like coffee beans, cereal and orange juice. Gorgeous formal dining room - new solid cherry dining table and 8 leather upholstered chairs. 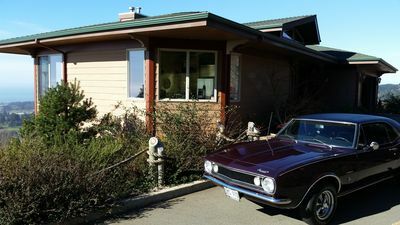 Great Room - comfortable sofa and loveseat, granite gas fireplace and a bird's eye view of the Pacific Ocean and town, 50" plasma tv, vcr, walk out onto one of the large covered decks with glass rails. Guest Bedroom Suite - sumptuous queen bed, own bath with tub/shower and granite sink, ocean view. 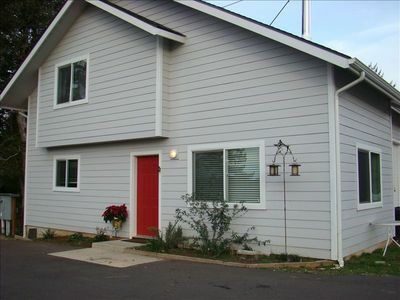 Activity room - foosball table, granite surround fireplace, puzzles, games, sofa/loveseat, large deck and ocean view. 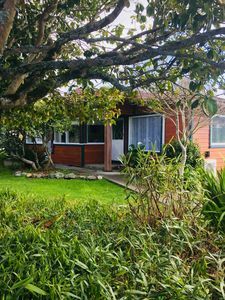 Two more bedrooms - Queen/twin, and 2 twin beds, tastefully decorated, ocean views and share a bath with tub/shower and granite sink/vanity area. 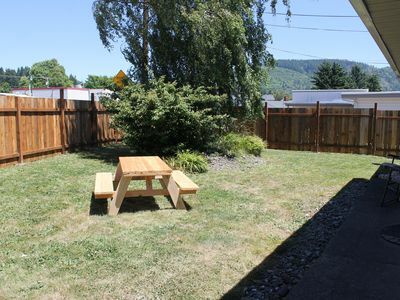 The upstairs deck has a large gas BBQ grill. 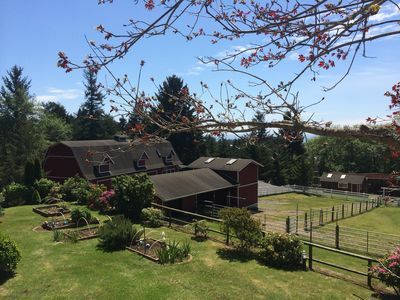 You really can see it all from our Bird's Eye View! The Chetco River in Brookings is a world class salmon fishing river. 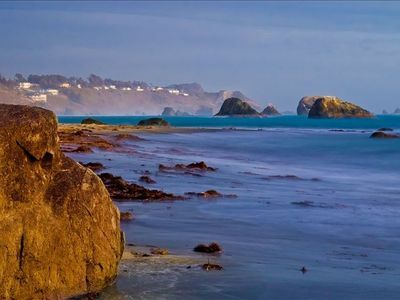 Brookings Harbor is a boating "safe harbor" with excellent crabbing. 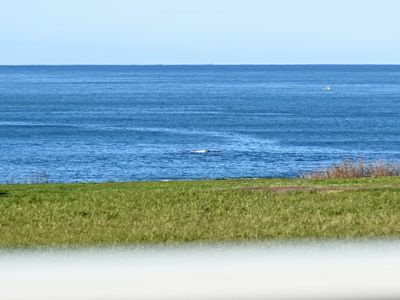 Salmon Run Golf Course is less than 5 miles away. The giant Sequoia redwoods are close by and the town of Brookings is just down the hill in front of you. There are excellent seafood restaurants and fresh seafood markets close by. There are many interesting shops and an antiques mall to explore. The local open air farmer's market is fun. 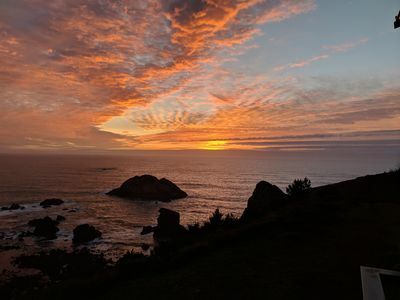 Whale watching, sea and river fishing excursions are available locally and thrilling jet boat rides run on the Rogue River in nearby Gold Beach. The huge old fashioned 4th of July fireworks display over the harbor is awesome! 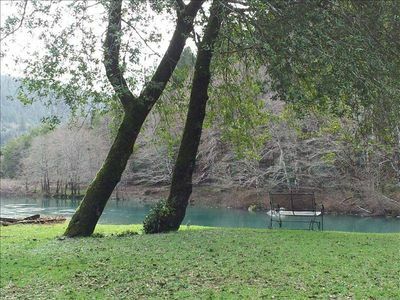 Hike, bike or just come relax in this beautiful, friendly part of the world. Visit Azalea Park and it's fabulous Holiday Light display nightly from Thanksgiving to Christmas. 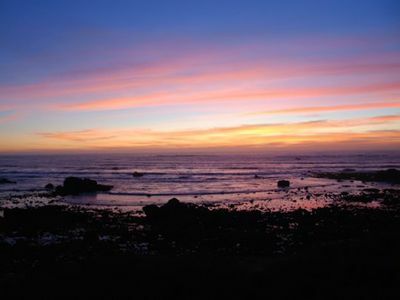 The sunsets over the Pacific are spectacular year round! 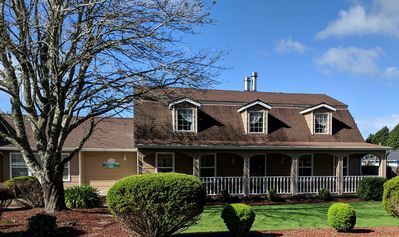 Other nearby attractions: Lucky 7 Casino, Azalea Park, bowling alley, movie theatre, horseback riding, beach combing and shelling, surfing, sailing, kayaking, and miles of hiking and mountain biking trails. 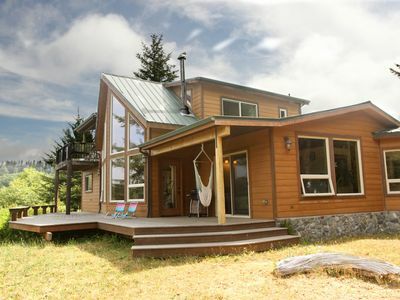 Oceanfront cottage with private hot tub - enjoy ocean from deck or living room! Downtown Brookings, walk to nice restaurants and shops. 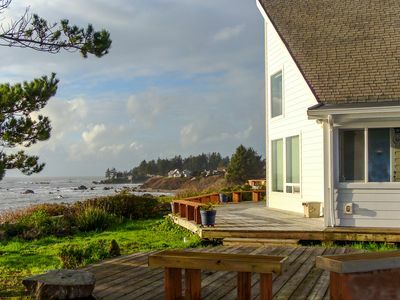 Perfect Beach Getaway - Gorgeous Ocean Front Views And Steps To The Beach! The Whale Watcher at Rainbow Rock -Ocean Views! 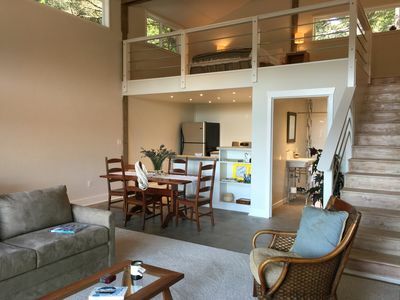 Vaulted ceilings & Beach Access! 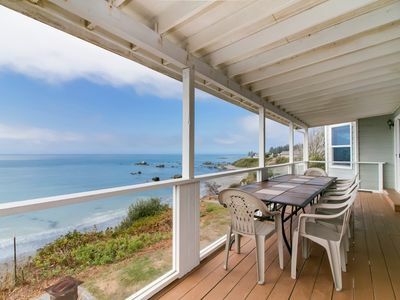 Spacious 2BR Brookings Home w/ Ocean Views! 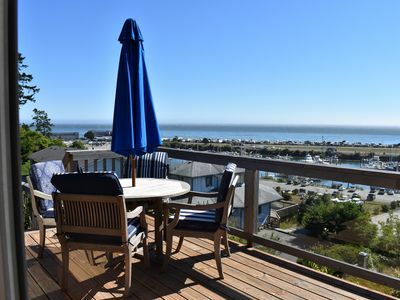 Come Escape reality and Enjoy some Ocean Air and Views. 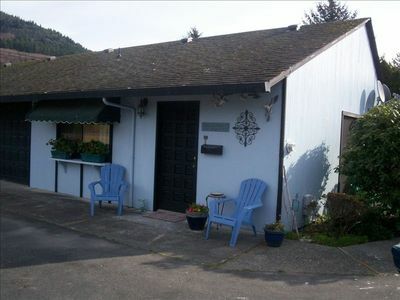 Sea Breeze Artist Bungalow, your home away from home. 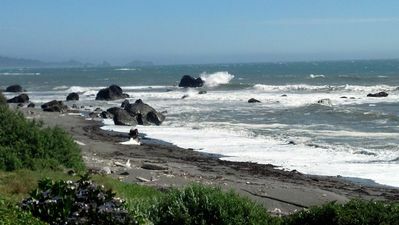 Fairs Winds where the Winchuck River meets the Pacific Ocean! Stay and Relax at Rio Mar!